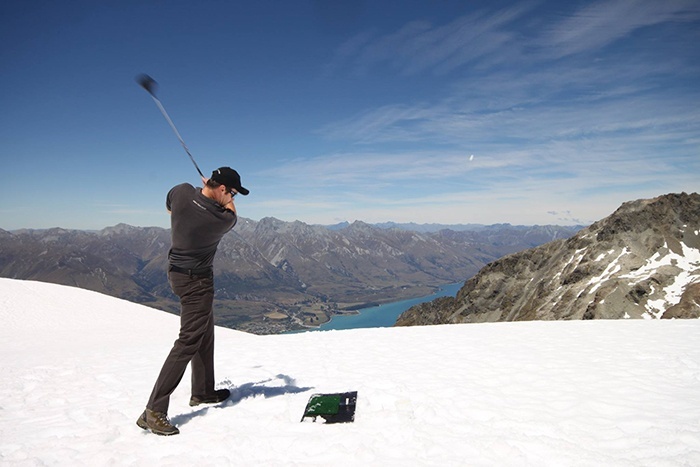 Getting to your tee is all part of the adventure. 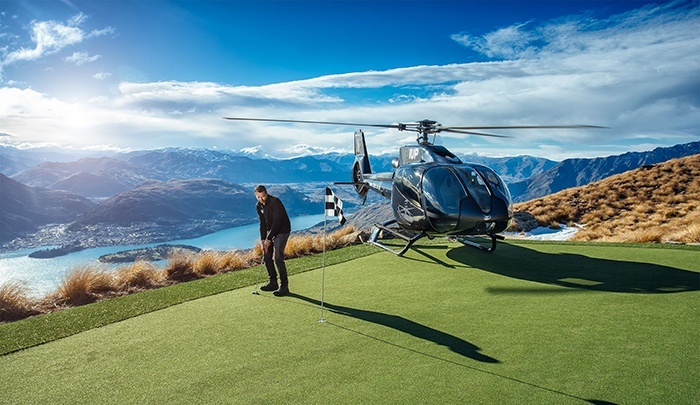 Board a Over the Top Golf chopper (this golf hole is only accessible by helicopter) and soar through the stunning mountainous terrain, seeing Queenstown's deep blue lakes, braided rivers, and snowy ski fields from the air. 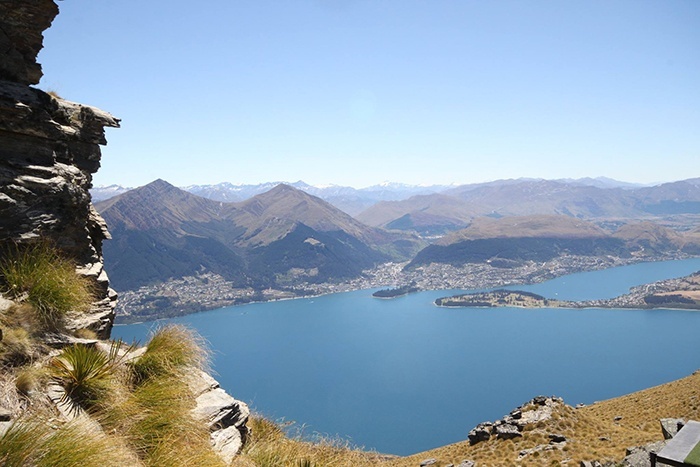 The iconic Cecil Peak - so omnipresent wherever you are on the ground in Queenstown - is your destination. 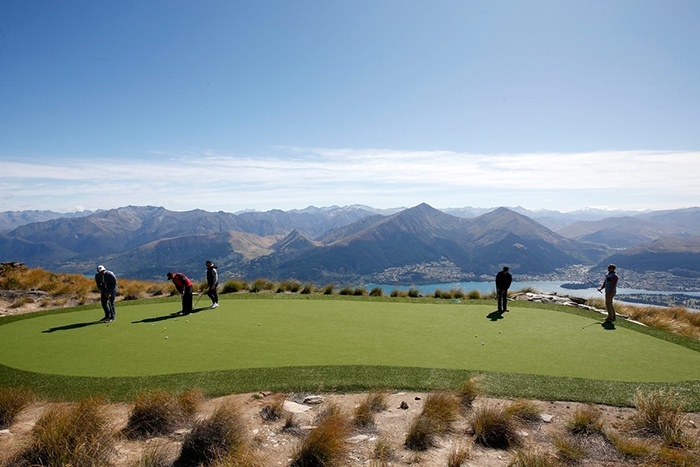 This is easily New Zealand's most picturesque, most legendary golfing hole. This one-of-a-kind golfing experience is the perfect '19th hole' finish to a Bucket List day of golf at Jack's Point, Millbrook or The Hills courses. 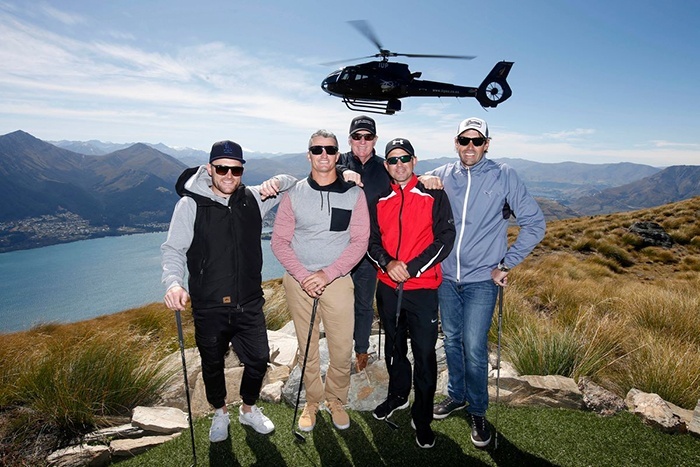 Let us arrange a unmatched, world-class golf experience for you - complete with impressive New Zealand cuisine and beverages, luxury transport, and your once-in-a-lifetime, hole-in-one challenge high on a mountaintop.